Tutubi's little sister recently visited Boracay, stayed at the posh Shangri-La Boracay resort yet spent only PhP800.00 there. 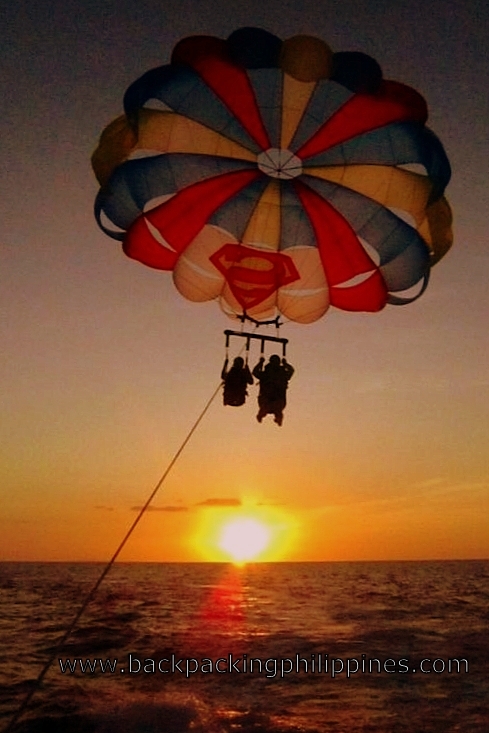 well, Tutubi just posted here to answer the question how much is parasailing in Boracay? is parasailing safe? of course, accidents do happen. there was a reported death due to parasailing accident in Boracay in 2009 but it's an isolated incident.